One of the best things about living on the road is being able to really get away from it all and camp out in the middle of nowhere. Whether it’s nestled in the trees, at the edge of a lake, or at the foot of a mountain, no expensive hotel can ever compare with how close you can get to nature in a motorhome. 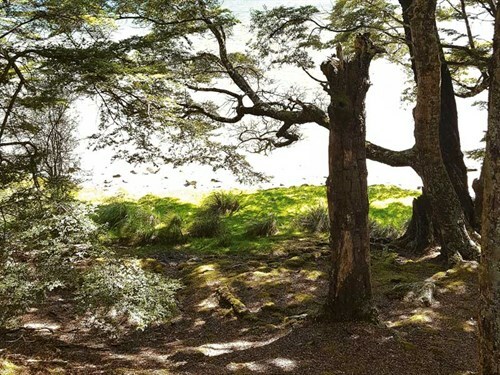 We are incredibly lucky to have more than 200 Department of Conservation (DOC) campsites all over New Zealand to choose from, for as little as $8 per night. It’s no surprise that many travellers swear by these campgrounds and rarely use anything else. Another bonus of DOC campgrounds is that despite being in the middle of nowhere, there is usually plenty to do, in the form of bush walks and other activities. The only downside is many of these sites don’t permit dogs, which rule a lot of them out for us. However, we have still managed to acquire several favourites on our travels, most of which have Minnie’s paw print of approval, too. though, there’s more than enough room for everyone. Access to the campground is via a 39km gravel road, which can make for slow going but the road is well maintained and the destination is absolutely worth going so far out of your way for. Once you arrive, there is plenty to do, with opportunities for fishing, boating, hunting, mountain biking, and more. 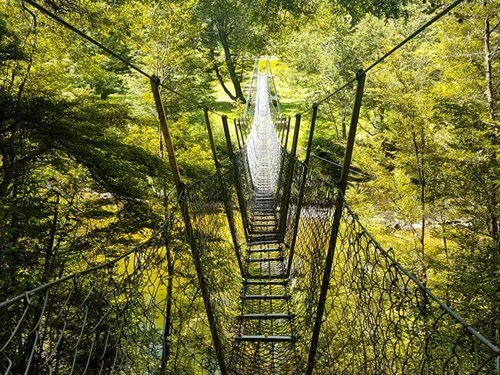 Keen trampers can choose from day walks through to a 50km, four-day hike. 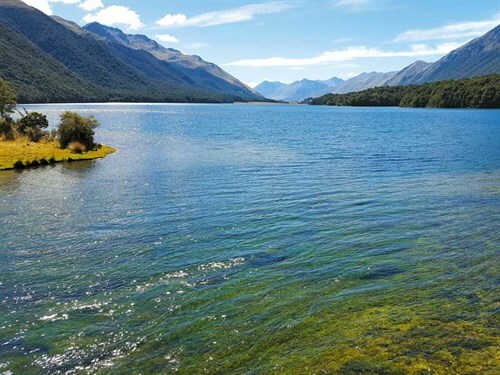 With two main camping areas comprising 60 non-powered sites, Mavora Lakes has it all. What makes it special is, of course, the otherworldly atmosphere. Set up camp at the water’s edge, light the fire pit, and enjoy being as close as you can get to one of Mother Nature’s most stunning backdrops. Dogs are also allowed here, and Minnie loved being so close to the water and having plenty of forest to explore. As with many DOC campgrounds, sandflies are rife, so don’t get caught out. Bring plenty of insect repellent, and you’ll have a peaceful and enjoyable stay. This was the first DOC campground we stayed at, and it remains a special place for us. 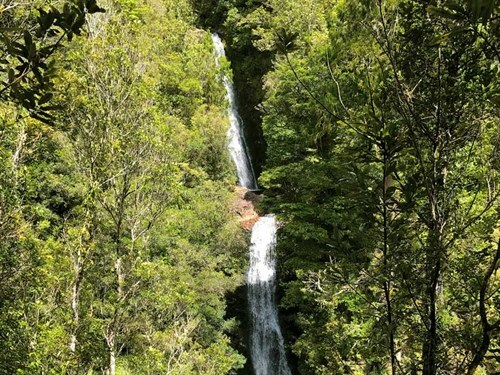 Located just a few kilometres out of Whangamata, on the Coromandel Peninsula, the area is popular for its swimming holes and bush walks, and the campground provides the perfect central setting. It’s so spacious, with 60 non-powered sites, as well as powered sites, if required. Just ring ahead to check the availability. We loved our secluded spot, tucked away among the ferns. 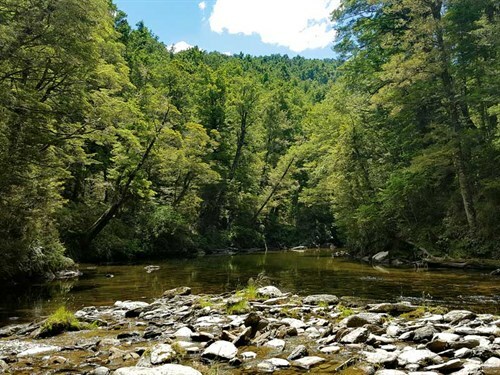 With plenty of shade in summer and open areas for games and activities, Wentworth Valley is the perfect place for families. It’s a paradise for dogs, too, and I think if Minnie could talk, she would say it was definitely one of her favourite places. 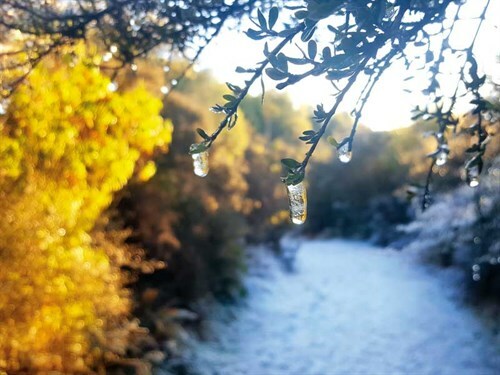 A number of walks for all abilities start at the campground, featuring mines, waterfalls, and extensive views of the Coromandel ranges. Despite the campground’s remote location, the beautiful beach at Whangamata is just a short drive away. Facilities include toilets, hot and cold showers, food preparation, and cleaning areas, as well as an on-site manager. Enjoy a leisurely stay in the heart of the bush, next to the Wentworth River. For more information, visit wentworthvalleycamp.co.nz. 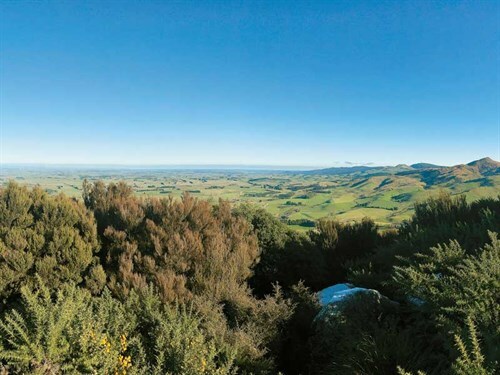 A little off the beaten track, in the Waikaia Forest, Piano Flat has long been a popular destination with motorhomers and with good reason. Even when it’s busy, there’s still so much space, and there’s also heaps to do, from walking to mountain biking, swimming, kayaking, fishing, and even four-wheel driving. 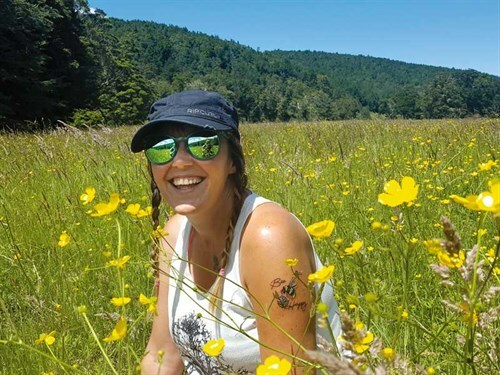 If you enjoy tramping, you’re spoilt for choice, with no less than four interesting and varied tracks available, ranging from 30 minutes to four hours following the Waikaia River and a seven-hour hike to the Titan Rocks. Despite being such a hive of activity, it’s still the perfect place to relax. Surrounded by beech forests and pastoral views, Piano Flat is a place you will want to re-visit time and time again. Dogs are welcome here and they love having so much space to swim and run around. Just make sure you also bring plenty of insect repellent. While we haven’t been able to stay here overnight, as dogs aren’t permitted, we couldn’t write about DOC campgrounds without mentioning this special place. Dolamore Park is located just a few kilometres out of Gore, and if you are lucky enough to be able to camp in this beautiful setting, we definitely recommend it. As DOC camps go, this is up there with the best for facilities, including kitchen and shower facilities, electric BBQs, and an impressive children’s play area. Tent sites are unlimited and there are also 22 powered sites available. At just $10 per night for adults and $2 for school-age children, this place is excellent value. There are many great, well-maintained walking tracks, ranging in length from 10 minutes to four hours. 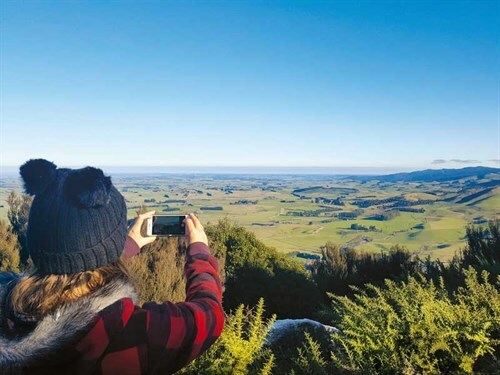 For breathtaking views across Southland as far as Stewart Island, Poppelwells Lookout is a must-do, as well as the picturesque Whiskey Creek Falls. 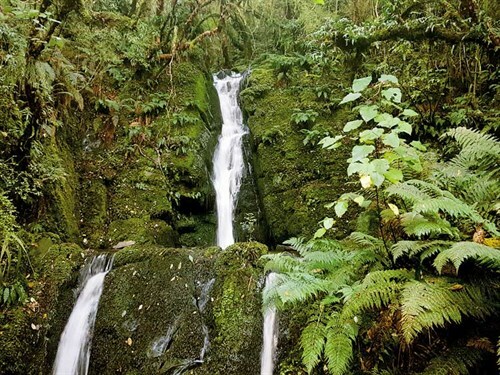 Keep an eye out along the way for native bird life, as well as the Brown Trout, eels, and freshwater lobsters who inhabit the Waimumu Stream. 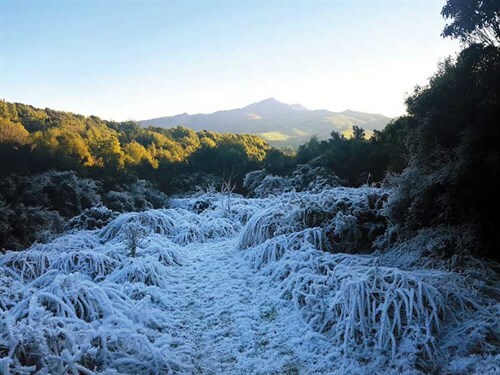 The park looks spectacular all year round and is famous for its rhododendrons. Even if you don’t stay there, it’s a fantastic place for a day trip. Bring a picnic and the grandkids and make the most of this delightful and immaculately kept Southland paradise. With fantastic locations dotted all over the country, thanks to DOC, you’re never short of brilliant places to park up. Here are some of the many we’ve been recommended by fellow motorhomers. Add them to your ‘must-visit’ list! Slab Hut, Reefton. Close to Reefton township and a great base for exploring Victoria Forest Park walks. Try gold fossicking in the creek or mountain bike the road. No dogs allowed. Lake Rotoiti, surrounded by beech forest and with a boat-launching ramp nearby. Excellent facilities, although more limited during winter. No dogs allowed. Papatowai, Catlins. This campsite on the Catlins coast is nestled in the bush. It has easy access to the beautiful beach and estuary at Papatowai with short walks nearby. Dogs permitted. Totoranui, Abel Tasman National Park. A great place to relax right on the beach. Swim, kayak, fish, or explore native bush on one of the nearby tracks. No dogs. Cowshed Bay, Pelorus Sound. Explore Kenepuru Sound by boat, walk, or mountain bike the nearby Queen Charlotte Track or relax by the water surrounded by native bush. No dogs allowed. Glencoe, Moeraki. Camp in a sheltered area surrounded by beech and podocarp forest. River, walking and tramping nearby. Dogs permitted. Glenfalls, Hawke’s Bay. 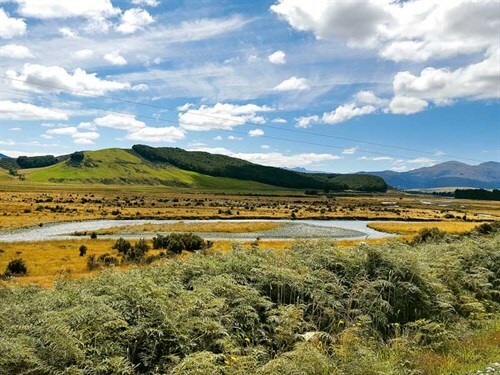 Fish, swim, or kayak in the Mohaka River. Located between Napier and Taupo. Dogs permitted. For more information on campground prices, facilities, and motorhome access, visit doc.govt.nz/campsites.